Via photographer Erik Hijweege who at one time was taking photos of albinos in Senegal for his book Noir, the African Albino Foundation came into contact with Fabineta Diop. She said “yes” at once when we asked her to organise the distribution of sun lotion. Also her brother, Mouhamadou Bambo Diop, an albino and president of the Association Nationale des Albinos du Sénégal (ANAS), became involved in this project. Together brother and sister look after the distribution and educative information for albinos in Dakar and Thies (70 km east of Dakar). 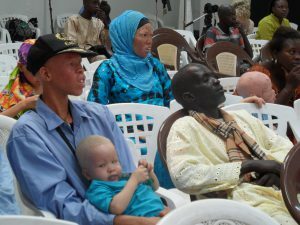 The albinos in Thies are organised around the community centre of ANAS, where Mouhamadou is active. 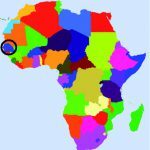 Mouhamadou coördinates the stocks and at the request of ANAS the African Albino Foundation provides new material which is mostly flown in by ‘plane. On occasion sea transport is also used.